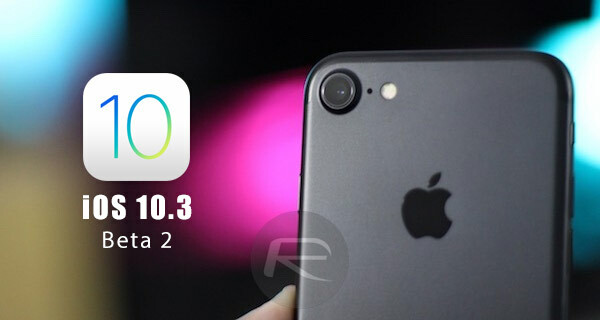 Apple has continued iOS development by making download of iOS 10.3 beta 2 available just now, intended for installation by registered developers with a compatible iPhone, iPad, or iPod touch. The release comes approximately two weeks after the release of iOS 10.3 beta 1, and gives us an immediate insight into just how fast Apple is looking to progress iOS 10.3, which includes the continuous attempt at trying to improve and stabilize the platform. Rather than being a single and very small point update which includes nothing but bug fixes and stability improvements, iOS 10.3 is a decent upgrade to interact with in the sense that there’s actually a set of feature additions that are worth sinking your teeth into. As an example, devices running iOS 10.3 now have an upgraded Find My iPhone experience which caters for Apple’s Bluetooth-enabled AirPods, as announced last year. The Cupertino-based company recently pulled an app from the App Store which used the power of Bluetooth to allow lost AirPods to be located. With this iOS 10.3 improvement, we now see why. Additionally, Siri has also gained more power with the release of iOS 10.3. At least for those millions of users around the world who have been craving some cricket action via Apple’s digital assistant, fans of the sport can now directly interact with Siri via voice to get cricket matches and scores update for not only international games, but for the Indian Premiere League (IPL) as well. Apple has also taken the opportunity with the iOS 10.3 SDK to enhance SiriKit, which is accessible by developers and allows Siri to be integrated into a whole new array of apps and experiences offered via Apple’s iOS App Store. This means we will soon be able to get apps which utilize Siri for faster payments, booking transport in advance, and a whole host of other things. Those new additions alone are worthy of checking out in iOS 10.3, and there’s also improvements to Safari, where Reduce Motion can now be enabled for the in-Safari experience. Apple has also enhanced iOS 10.3 with a new Podcasts widget as well as improvements around accessibility and ease of access for those using CarPlay in a vehicle. For a complete list of changes, head over to our post here: iOS 10.3 Beta 1: All Changes And New Features In One Place. All in all, a fairly impressive update to the iOS platform, with beta 2 being available to download and install right now via an over-the-air update for those developers with a beta configuration profile installed on their device from Settings > General > Software Update. For those new to this, IPSW file of iOS 10.3 can also be directly downloaded from Apple’s developer portal for doing clean install via iTunes. We will update the post once we know any further addition or changes that Apple has added in beta 2 of iOS 10.3. We will also inform you once it’s available to public beta testers. Stay tuned. Update: Here’s what is new or changed in this beta 2 seed of iOS 10.3: iOS 10.3 Beta 2: Changes Or New Feature Additions?.